You may have had heard lately that the bees are in trouble. Bees are one of many pollinators that keep us alive by spreading pollen so that many of the plants will be able to grow. Without pollinators the human race would starve to death. They are super important! There are a few ways you can help out the bee population. The first one is grow as organically as possible. Herbicides and pesticides hurt the bees and other pollinators, sometimes causing the entire hive to die. Use mulch, close plant spacing, chickens, natural predators, or remove pests and weeds by hand instead of spraying on a chemical. The second way to help the bees is by planting lots of plants that they love. This will also help your garden, as the plants will attract them to your garden to pollinate your own crops. Here are five edible and useful plants for your garden that bees will love. Lavender is a perennial plant, so it makes a great choice for landscaping. It’s leaves can be evergreen down to zone 6, but the best part are the beautiful and fragrant flowers. 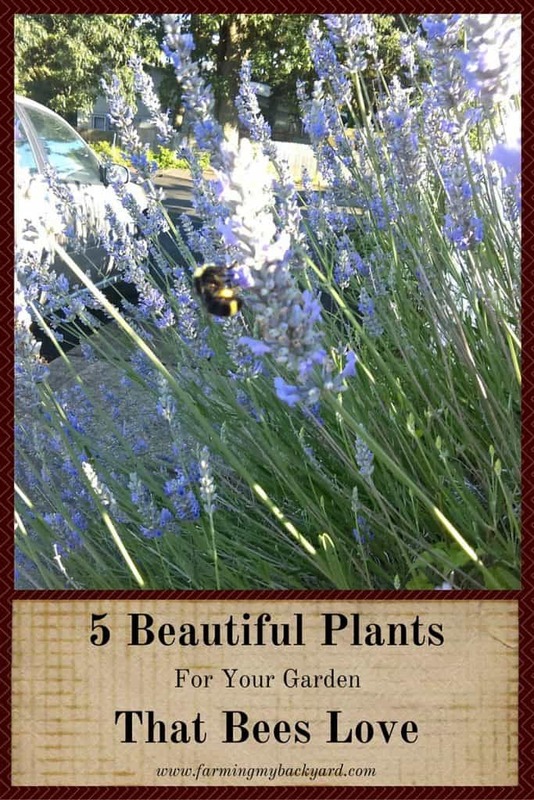 You can leave the flowers on for the bees, but if you plant enough lavender then you will be able to have blooms for yourself as well. It’s edible, and you can even cook with it! Fennel has beautiful lacy leaves that look great in the garden, but the bees will really love the flowers. After the plant blooms you can use the seeds as an herbal remedy, or as flavoring in cooking. Fennel will self seed itself, but that’s okay, because the leaves and bulbs are also edible. Not sure how to use it? Here is a list of delicious looking recipes. Sunflowers are fun, bright and colorful. Those large colorful flowers do a great job of attracting bees. Sunflowers add color anywhere you plant them, and at the end of the season, will produce seeds for you. More seeds than you can use? 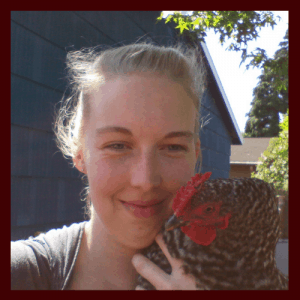 Toss the heads to the chickens as a treat. Oregano is a common cooking spice, and a great little perennial ground cover. Grow it for your spice cupboard, and it will do double duty by feeding the bees during blooming. It’s attractive and hardy enough you can include it in your landscaping. No need to take up precious vegetable garden space! I was new to comfrey until this year, and now I absolutely love it. It’s a great multi-purpose plant. It has medicinal uses for us people. The leaves can be used mulch in the garden or a high protein chicken feed. Plus, it has beautiful purple flowers that the bees will adore. It even puts up with shade, so you can tuck into an otherwise unused corner of the yard. Need more ideas on what to plant and how to sneak it into your landscape? 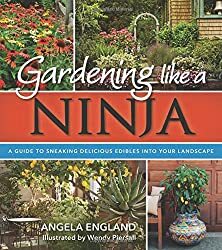 Check out the book Gardening Like a Ninja for tons of plants and ways to work them into your yard attractively. You can buy it on Amazon, or maybe ask your library to purchase it if they don’t already carry it. While I love the bees, I know some people who are less than enthusiastic. They know they’re necessary, but would rather never see them for fear of being stung. There’s little need to worry though! Generally leaving them alone is enough to keep you safe. YES!!! My bees love the lavender. I am a bit concerned that I planted the plants right next to the hive and so may encourage robbers. 🙁 So, I will be moving them in the Fall. The bees are also enjoying the Vitex plants. I’m of the opinion you can’t have too much lavender. It’s one of my favorite plants! Thanks for letting me know, I’ll check out the hop.